Early detection has always been the best defense against health problems. Ayurveda recognizes six stages of pathogenesis and is able to detect and correct imbalances long before they become a full-blown illness. 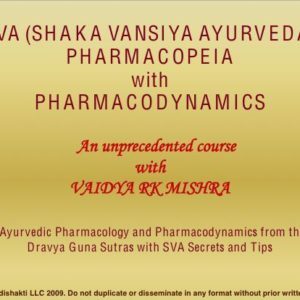 In this course you will learn from Vaidya Mishra’s extensive training and experience with the pulse. He not only studied in a traditional Ayurvedic college but also trained with his father for seven years, where he learned his family’s secret knowledge of Ayurveda as it has been practiced for about 5000 years. This is a course for beginners, as well as those already familiar with basic or advanced Ayurvedic principles. It will open your awareness to the subtle changes of the pulse and what they indicate about the health of the physiology. Mind and Light of the Soul Connection – Pulse diagnosis according to SVA tradition goes beyond the seven layers of the pulse into two additional layers, apar ojas (overall immunity of the person), and the sattwa (light of the soul). The sattwa layer gives knowledge of the coordination between the mind and the light of the soul, including whether the heart lotus is open and connected to the mind. Mind and the light of the soul are connected when there is coordination between dhi (power of learning), dhriti (power of retention) and smriti (power of recall). All symptoms of imbalances and diseases (physiological and psychological) happen when the coordination between dhi, dhriti and smriti is lost. This is called pragyaparad (mistaken intellect) in Ayurveda. Due to pragyaparad, the heart lotus shuts down, or becomes partially shut, and the mind is not able to access the light of the soul. This is the ultimate source of imbalance in the physiology according to Ayurveda, and the SVA tradition of pulse diagnosis is able to detect and correct this imbalance long before serious problems develop. 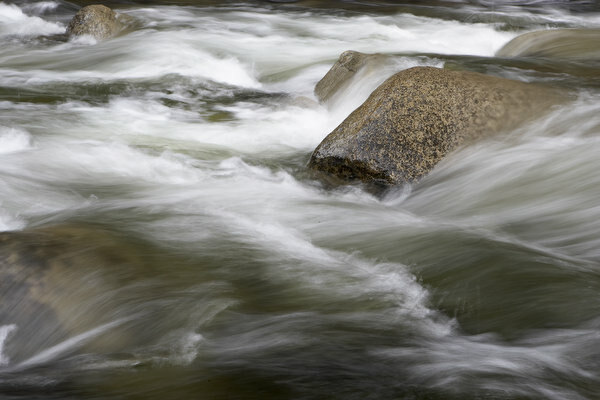 Four Types of Toxic Build-up – Most contemporary Western, as well as Indian, Ayurvedic practitioners are familiar with the central concept of ama (partially digested material in the system). However, the SVA tradition of Ayurveda goes back to Charak Samhita to identify four distinct types of toxins in the body, which require different approaches to remove. The omission of this knowledge leads to the improper recommendation of dietary and herbal protocols and panchakarma treatments to cleanse the physiology of toxicity. More often than not, this unwitting omission leads to incomplete treatments, or even serious complications. The proper recognition and identification of any or all of these toxic build-ups leads to the correct approach for addressing the etiological causes, resulting in enhanced treatment. SVA pulse diagnosis is able to detect each type of toxin separately, so that the appropriate treatment protocol can be created. 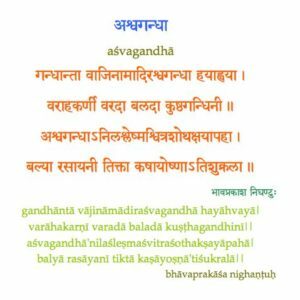 The balance of the doshas (vata, pitta, kapha) and their influence on the physiology through the subdoshas. The health of each of the seven dhatus: rasa (plasma), rakta (blood), mamsa (muscle), meda (fat), asthi (bone), majja (bone marrow and nerves), shukra (reproductive tissue). The level of toxicity in the body and specifically which of the four toxins listed above are found in the body, and in which tissues they are found. Participants will study the science of pulse assessment according to the Shaka Vansya Ayurveda (SVA) tradition, just as Vaidya Mishra learned from his father. Vaidya Mishra will share inside information about pulse diagnosis from his lifelong experience as a healer. Students will learn to assess the pulse according to strength, rhythm and speed. Vaidya Mishra will teach about what foods, herbs, yoga, breathing and types of exercise are appropriate for the types of pulse conditions indicated. He will also show how various conditions directly affect the pulse. The Ayurvedic principles of dhatus, ojas, vata, pitta, kapha, malas, doshas and subdoshas will be defined and discussed as well. This is practical information you will be able to use to support the well-being of yourself and others. It is an appropriate workshop for people interested in their own health, healers, parents, health professionals, and medical doctors. Vaidya has taught this easy-to-learn method to chiropractors, medical doctors, healers and yogis over the past 10 years. It is practical and experiential, and there will be plenty of opportunity for hands-on practice. Vaidya Mishra will also initiate participants in a special mantra for the pulse to enable the deepest healing on a vibrational level. Doctors study pathology and disease, and as a result are always screening their patients to see if they have any diseases — cancer, heart disease, diabetes, and so on. The ancient vaidyas of India who practiced Ayurveda were able to identify disease in stages before problems became apparent. By doing so they could intervene earlier and try to reverse the “imbalances” preventing the disease from manifesting. Modern doctors usually have no idea of the origins of their patient’s disease and therefore treat the symptoms rather than the underlying causes. I see many patients who have a litany of symptoms; they see their doctors for a check-up, only to be told nothing is wrong with them. Since they don’t have a diagnosable disease, the doctors think they are fine. Therefore, it becomes extremely important to be able to detect someone’s underlying imbalances and properly treat the underlying cause of disease, reversing the progression towards manifestation, bringing the patient back to optimum health. This is where pulse diagnosis comes in. By learning how to read the pulse, one can proceed with great confidence in treating the patient, knowing that the underlying problems are being dealt with and not just treating symptoms as they travel around the body. Pulse diagnosis becomes a top priority for those in any of the healing professions. Dr. Mishra has spent years training, not only in Ayurvedic College, but also during seven years by his father’s side. He understands the pulse at the most profound level. In this course you will become familiar with both the theory and the practice of pulse diagnosis. And you will come away feeling that now you can confidently master that first step in treating a patient, being able to diagnose the underlying cause of their ailment, which makes setting up their protocol very easy. By being a good diagnostician, patients will get better quickly, and gain a deep trust in you as a healer. — Dr. Marianne Teitelbaum, D.C. The course is open to professional health experts and lay-people. Learn the powerful yet easy tools of pulse reading that will help you interpret the physiology’s workings on deep tissue and organ levels. You will learn how to detect imbalances in the subtler vibrational channels between heart, mind and soul, and correct long-standing imbalances.